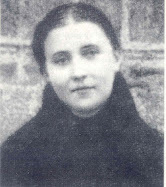 In his extensive biography-hagigography of Saint Gemma entitled "La Povera Gemma", Padre Enrico Zoffoli has a chapter entitled "Gemma era bella" that is, "Gemma was beautiful". Who looking at the photographs of Gemma could argue that point? For the "Gem of Christ" was truly a gem of exceedingly rare combination- she was beautiful to behold both on the outside and even moreso on the inside, possessing both an extraordinary external beauty matched with an interior array of virtues rarely found amongst even the most devoted christians. ‘I used to accompany Gemma to the school of the Zitine Sisters. One day Gemma said to me: "Come with me always to the gate, because there" -she pointed to a corner of the street- "that silly fellow awaits my coming and stares at me." 'One day when I was taking Gemma for a walk, I was stopped by a lieutenant whom I recognized as the man whom she had called a "silly fellow." He said to me: "Signora, I wish to speak to you." "Speak," I answered, "what do you want?" "I should like to become betrothed to that young girl who is standing by. Please, I am serious. Is she your daughter?" To which I replied: "She is still but a child, and besides she does not want to be married." The lieutenant stood frowning for a while and then exclaimed: "I am very sorry. She appears to be such a good girl. And I am a respectable young man and come from a good family. If you want to know about me I will tell you who I am and about my family, and where we live." But Gemma came up to me hastily and said: "Let us go, let us go home." We went, as usual, to a church to visit the Blessed Sacrament, and say our prayers. I noticed that for some time the lieutenant followed Gemma. He contented himself, however, with passing the house and looking up at the windows, at which no one appeared. When these things were known Gemma used to say to me: "I don't wish to have any men around." When Gemma’s father died a few years later, relatives soon came to the assistance of the poverty-stricken family and Gemma, then age 20, was invited to stay with her aunt Carolina at Camaiore. This aunt was her father's sister, who had mar­ried a rich widower, Dominic Lencioni. Gemma usually spent her vacation with them and was held in such high esteem by her uncle Dominic that he once said to her: "If you remain with us I will leave you as much money as I shall leave to my other niece who lives here." "Oh, no!" said Gemma. "I am hoping to be a nun, but if you give me something for my dowry, I will be very grateful." While Gemma was pretty at sixteen, she was even moreso now at the age of twenty, even though she dressed simply in a black dress and mantle, and without any jewlery, she was simple yet graceful, and was governed by piety and modesty in every gesture, thus she was understandably admired by the young men of the place. One of them went with his father, a physician, to see Gemma's uncle and made a formal proposal of marriage. This turn of events appeared to be a providential means of retrieving the fortunes of her family, as the young man and his family were very well off. But Gemma already had given herself to her beloved Jesus and His Mother, who she affectionately called her heavenly "Mom", and her hearts desires were for Jesus and Mary, and not for things of the earth. And this is why she loved others, especially sinners so much, because she loved them out of love for Jesus. But going back to this marriage proposal, it is easy to imagine the efforts that were made to change Gemma's mind, but none of them succeeded in altering her determination to give no other love a place in her heart except for the love of Jesus. To the worldly-minded such a refusal was complete foolishness, but Gemma had chosen "the fool­ishness of the Cross"; she had no eyes for anyone but her Beloved Jesus and His Mother, and she therefore gave up all earthly love to completely possess her heavenly Spouse. In spite of this, another young man, who bore the most fitting name of Romeo, made an attempt at a proposal. He worked in a pharmacy across the street in the rear of the Lencioni house. Standing there in the doorway he asked one of the servants at work in the kitchen to declare his intentions to Gemma. "When I refused to do so," says the good woman, "he had the effrontery to write a letter and made me the bearer of it. Gemma took the letter, opened it quickly and read it out loud: it was a declaration of affection. She made a gesture of disgust, exclaiming: 'Look what the silly fellow did! Wait. I'll write him a few lines and you take it to him.' I refused to do this and, even though the letter was written, Gemma said: 'I think I will go and see him myself.' And she tore up the letter." 'And, indeed, Gemma went with me to the garden of a man named Ghivizzona, whose house was near to the chemist's shop and to our house. I told Ghivizzona that Gemma wished to speak to a young man from the chemist's and that she would be obliged if he would allow them to meet in his garden in his presence. Then leaving Gemma and Ghivizzona together, I went to the chemist's to tell the young man: "Gemma wants to speak to you," I said, "and she is with Ghivizzona in his garden waiting for you. Go, she expects you." He went at once and found Gemma where I said. I was not present at the meeting because I went to tell her aunt what had happened. But I had hardly done this when I returned to Ghivizzona's garden. Gemma was already on her way home. The young man had returned to the shop. As soon as she saw me (Ghivizzona was still with her) Gemma exclaimed: "You will see whether I shall be left alone. Do you know what I said to him? I told him not to think of me, not even to look at me, because I belong to Jesus, and that all my thoughts and affections were for Him alone." This one-sided romance did not escape the no­tice of the usual small-boy tormentor, her cousin, Aloysius Bartelloni, in 1922, as a witness in the Processes of Canonisation, took an impish delight in recalling how he teased Gemma on that occasion. "On the kitchen door I wrote this sentence: 'Gemma and Romeo are going down to the Abbey bridge to make love.' And to vex her all the more, I used to walk behind her chanting the same words. It wasn't worth the trouble I took. Gemma abso­lutely avoided all such things, and was hurt by my provoking conduct, yet it was my sister and my aunt, and not Gemma, who scolded me and made me cease annoying her." To avoid these repeated unwanted advances from the young men at Camaiore, Gemma besought God in prayer and the answer came in the form of a serious sickness. ‘All of a sudden,' she tells us, 'I began to suffer from curvature of the spine and to experience violent pains in my back." [Autobiography, p. 37] and with this excuse, she returned to her home in Lucca - to a home that was now very poor and devoid of every comfort. When she was leaving, all were sorrow stricken, and even her Uncle Dominic, usually an unemotional man, shed tears, but because of her new illness they had to yield to her wishes. POOR ST.GEMMMA, IN HER POVERTY STRICKEN FAMILY'S SITUATION AND SHE THOUGHT ONLY OF HERSELF AFTER JESUS SENT HER THOSE YOUNG MEN TO HELP HER TAKE CARE OF HER BROTHERS AND SISTERS. SHE ACTED SELFISHLY. SHE WAS YOUNG AND DIDN'T SEE THE HAND OF JESUS/GOD COMING TO HER AID. AMEN & AMEN THE LORD DID TELL ME THAT MANY WOMEN WANTED TO BE MARRIED TO HIM, BUT HE DIDN'T WANT TO MARRY THEM. BOTH ST.THERESA OF LISIEU AND ST. GEMMA WERE YOUNG AND ACTED AS IF THEY WERE GOING TO BE JESUS' SPOUSES. ONE DIED AT AGE 24 AND THE OTHER 25. SORRY TO SAY IT BUT MARIA RAMIREZ MISSED THE WHOLE POINT. GEMMA WANTED TO BE WITH JESUS..NOT MEN. SHE DIDN'T THINK OF HERSELF, SHE THOUGHT OF HER JESUS. 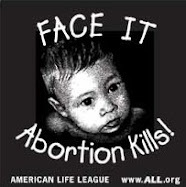 @MariaMiertalaRamirez Let us be clear. 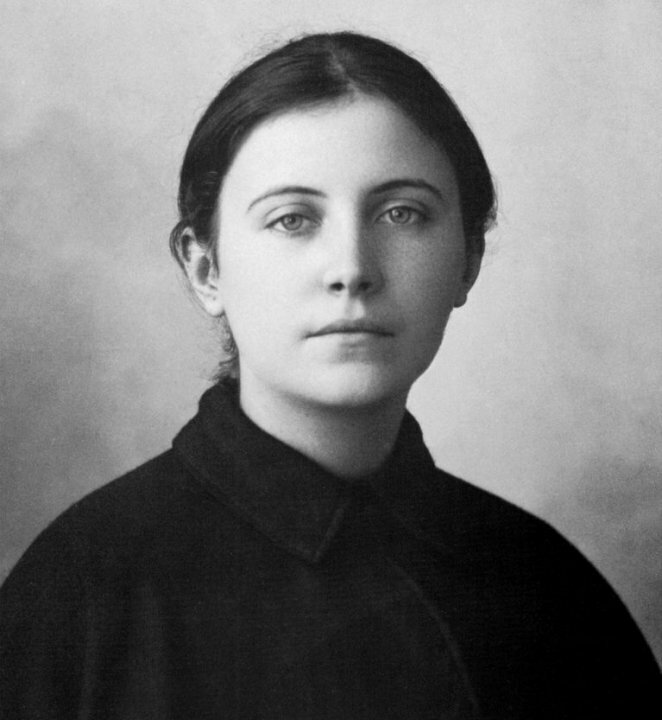 St. Thérèse and St. Gemma were not pretending to be Jesus' spouses. They were and are His own. Any woman can be a spiritual spouse of Jesus; every man and woman are desired by God to be wed to the Divine, and while Mary the Blessed Virgin was the only woman to be materially God's Spouse--that is, the only human being to be God's own Spouse in her body, by virtue of the Incarnation, we are still desired by God to be His own. So do not call these holy women selfish; God provides for all of His children, and there is no sense in throwing away a true vocation, a Divine Calling, out of any desire of the flesh or anxiety for the material needs of family members. Our material needs are temporal, but our spiritual needs are eternal. 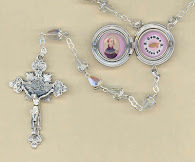 St Gemma--and St. Thérèse with her--were not selfish, but they loved our Lord very much. Perhaps you are jealous of their calling? But you can be God's bride. Do you not want to be God's bride? Whether you are married to a man or no, you can be God's bride. Some are called to be God's bride as virgins; others are called to manifest God's love for His people, or His people's love for Him, in marriage. No one can be selfish in loving our Lord. He deserves our love more than anyone else. And no one can go wrong in serving our Lady. She is truly worthy of our service, because God dwells in her. So do not attack these beautiful daughters of God. Do not accuse the innocent. You are not doing anyone any good by doing so. Jesus was Virgin His whole life so that He could be the Bridegroom of His Church. They understood that. St. Gemma and St. Thérèse understood that. They lived their callings. They knew how to please Jesus. If you think that Jesus refused marriage because He did not desire women, you are mistaken. He desired them very deeply. 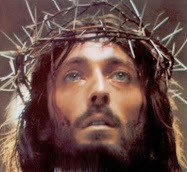 He desired their souls, so that they could be loved and free for all eternity, by Him in His Sacred Heart. But you do not think that Jesus loves our souls? You do not thing that Jesus loves each soul as a bride, and even more than a mortal man could ever love a woman? Why would anyone trade the love of God for the love of a man, or a woman? That would be foolishness. These saints that you have mentioned understood that. They were not against marriage for others, but for themselves, because they knew they were not called to it. I hope that you are able to see how much love these saints have for you. They are wed to Jesus forever, and now they spend their eternities doing His Will on Earth. They are here to help you, as members of the Body of Christ, perfectly conformed to Him in His Passion and Resurrection, and transported by the Divinity of Christ into the heights of Love, where they are "like the angels in heaven". So please, do not attack these young women. They died young, but they died saints. They died pleasing Jesus. I cannot stand this attack against my sisters. They are sisters to me, and I love them dearly. Let Jesus love you. He desires your beauty. He desires to cleanse you of every blemish on your soul.